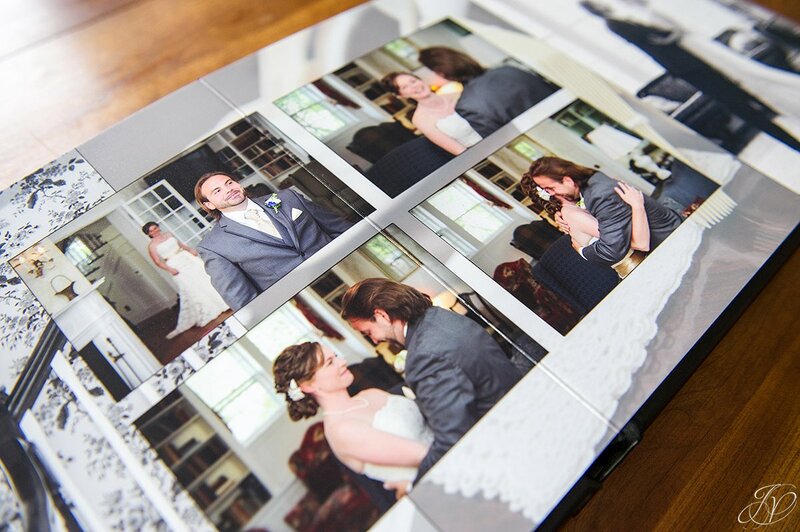 We've been through a lot of trial, error and research to find the albums that work the best for us and our clients. To say I love our albums would be an understatement. Each time I design an album, I want to order a sample for myself. It helps that the companies we work with are fantastic! Their turnaround is quick, their customer service impeccable and their quality is hard to beat! 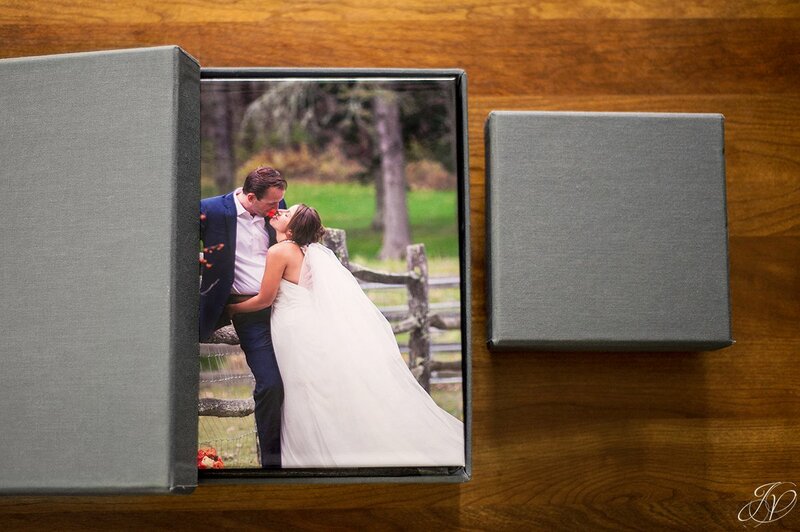 We design our albums ourselves and each one is made unique to our couple. I rarely use templates when I design; it's almost always a blank canvas when I start a new album. I love giving an album to a couple and being able to tell them that their album isn't one in a million, it's even better! Unique and designed just for them. So let's introduce our albums. 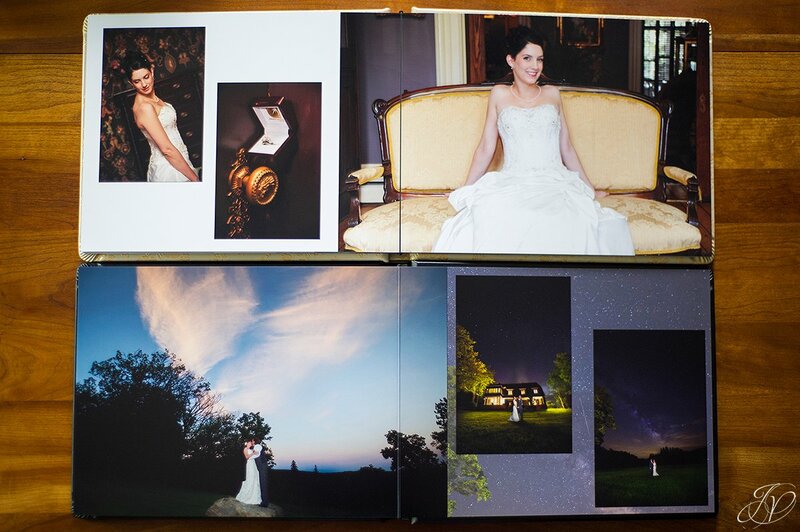 We have two tiers; our first one consisting of our Chelsea Album. 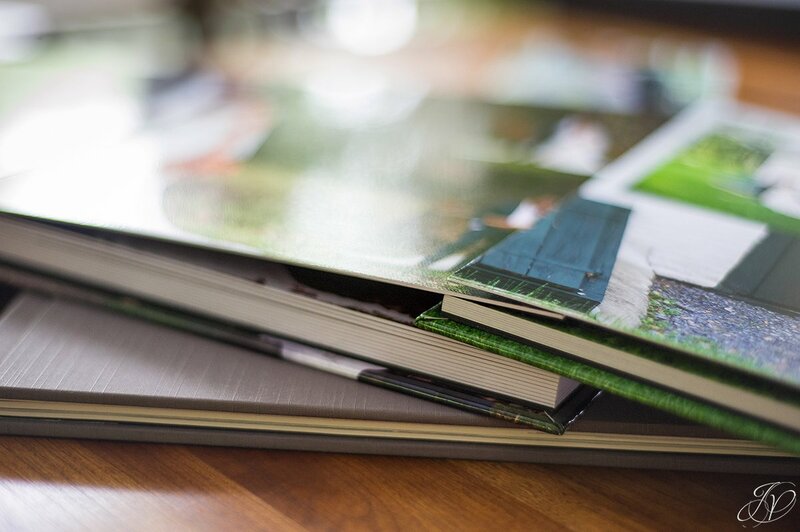 It can be printed with thick or thin sides, metallic or photographic paper; even textures on the pages. 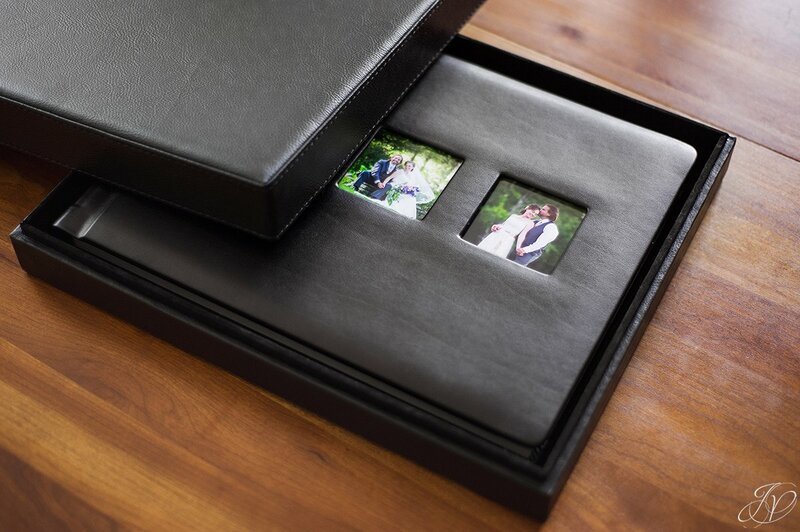 Our sizes go as small as a 5x5 and as big as a 12x12. 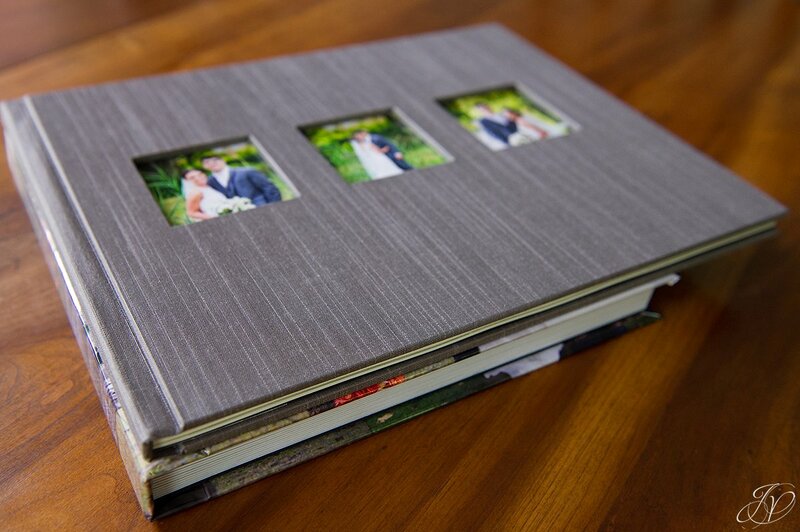 This album has become the most popular with our brides which is not surprising. It's gorgeous. 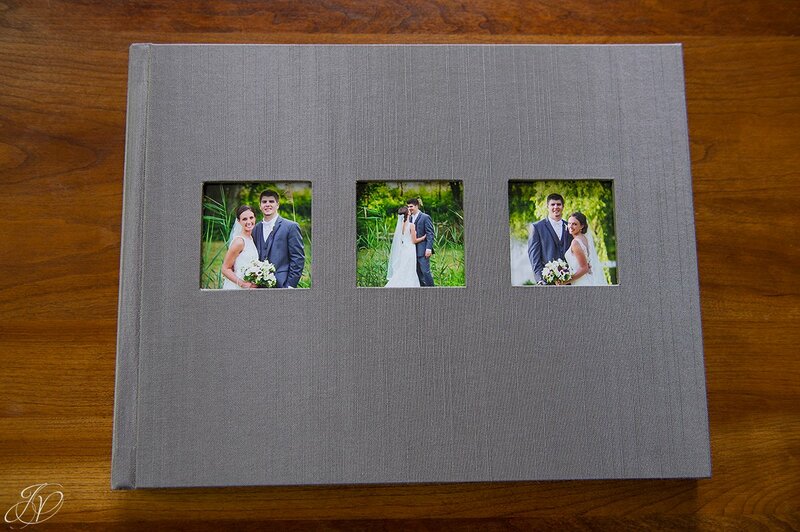 The paper in the album to the left is printed on what is called Fuji-Pearl (metallic) Paper with a Linen Texture. 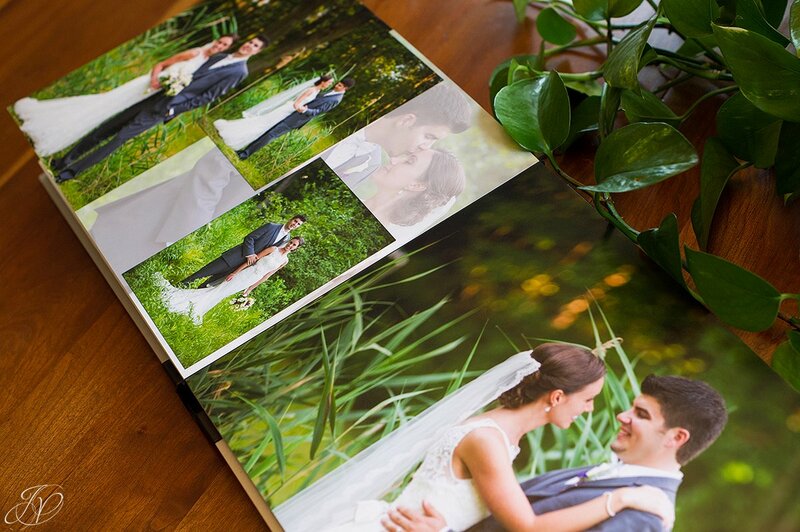 The paper in the album to the right is E-Surface Paper (better known as photographic paper). 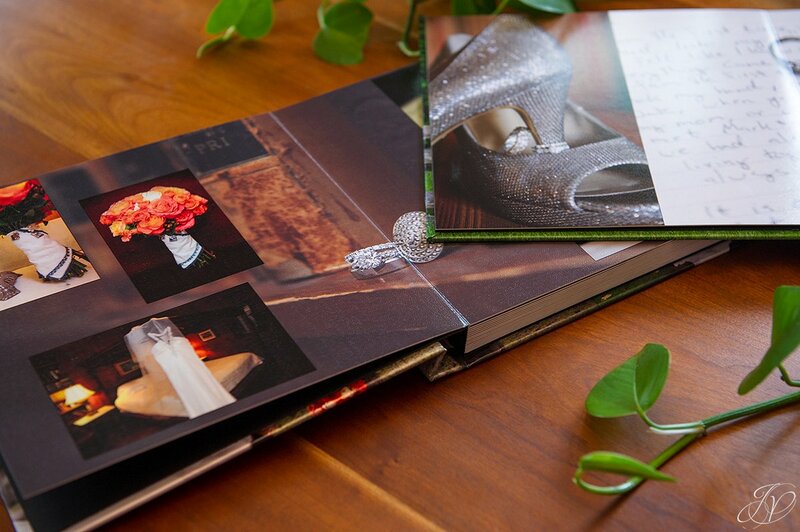 These albums are delivered in gorgeous boxes and we even provide a little note about how to care for them! 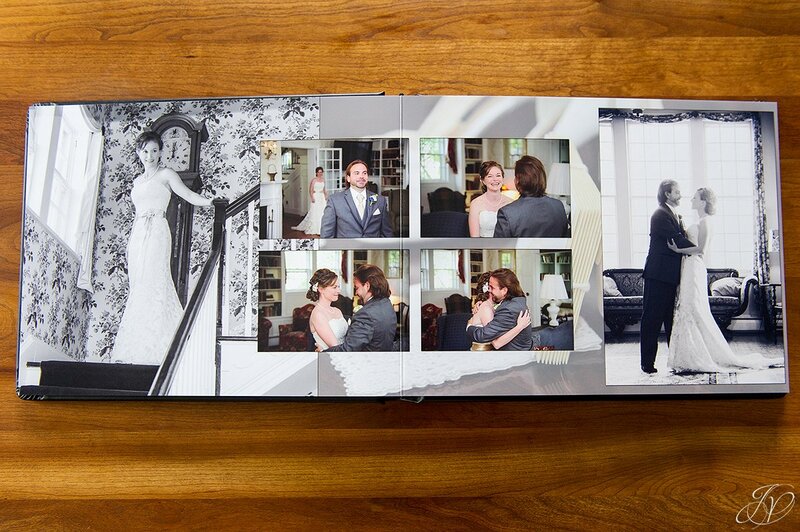 Up next is our second tier of albums: our Fine Art Album and SoHo Book. 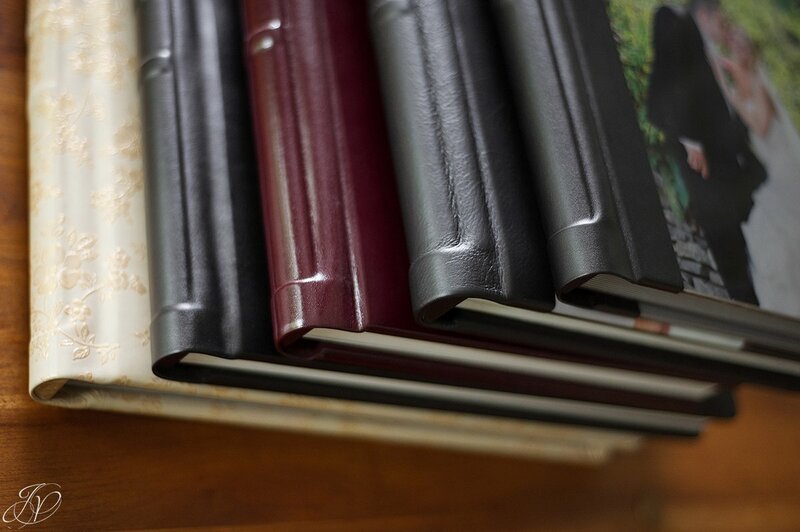 These albums are made right here in New York and not only are they water resistant, but they come with a lifetime manufacturer's guarantee. Cover options are endless and so is the size selection. 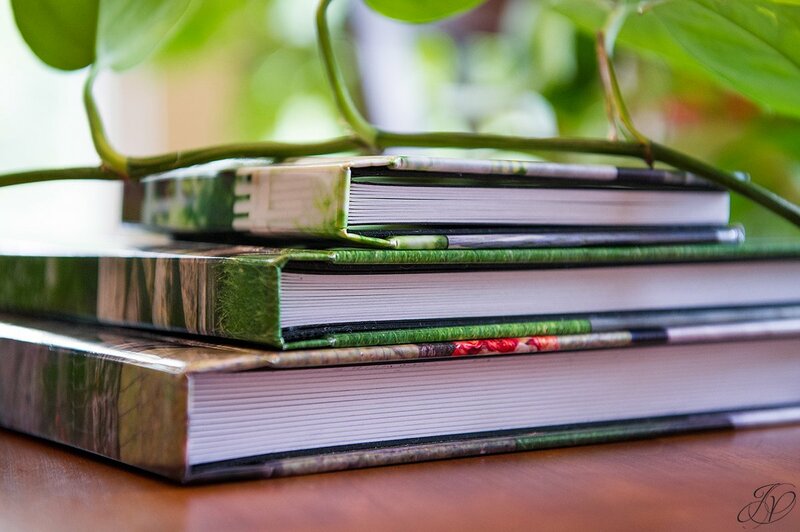 These books are some of the most unique and elegant on the market. 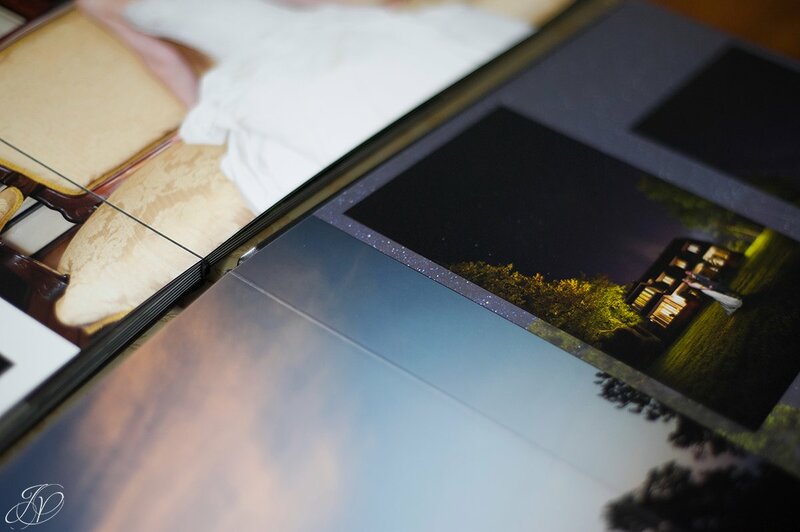 One of the main differences between the Fine Art Album and the SoHo Book is the design. You'll see here that the SoHo is fully panoramic while the Fine Art has a small (barely noticeable!) break at the center. In our first meeting with this company, they told me their break is one of the smallest in the industry. The break is so small in the Fine Art Album, sometimes I don't even notice it! I love the design capabilities when it comes to the SoHo Book. Being fully panoramic, you can really do a lot with the spreads! 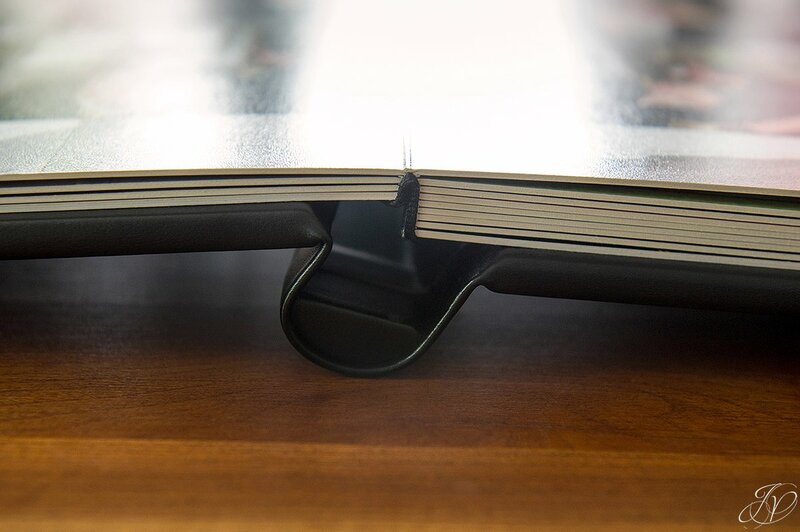 And if you want to be even more unique with the covers, consider a Brush Aluminum (pictured here) or Acrylic Cover. Gorgeous! 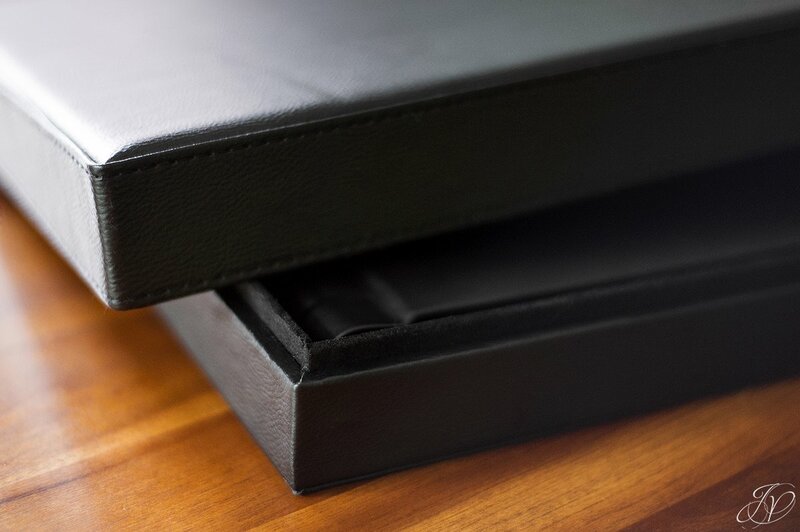 Our Fine Art and SoHo Books are delivered in crafted leather boxes (upgrades available). Pricing and upgrade options are available upon inquiry. john schwarz - Hi Jessica, would you send me the price list. Brittina has one. First time on your site, VERY well done!